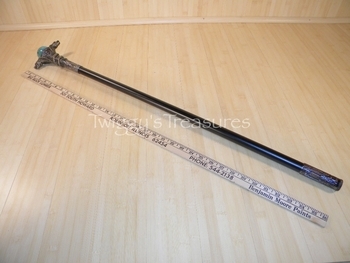 This sword cane features a twin cobra on the handle with a blue ball on the hilt. It also features a black metal scabbard. 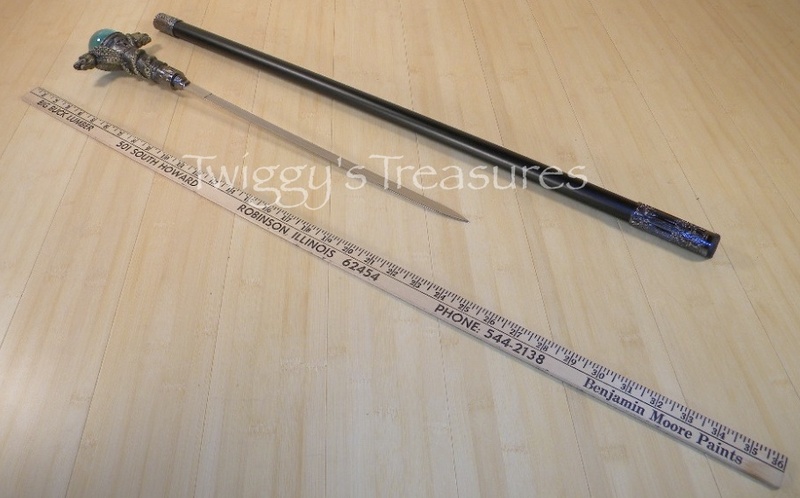 ▪ Overall Length: 37 1/4" Blade and Handle: 22 5/8"
▪ Handle Material: Metal with a blue ball.